The Atlantic Coast Conference announced broadcast coverage on Wednesday for its Olympic sports for the upcoming fall season. Clemson’s volleyball team will play four matches on the ACC’s network partners, including a nationally televised contest at North Carolina on ESPNU, and a match at home against Virginia on the league’s regional sports networks (RSN). Clemson will also make two appearances on ESPN3 against Florida State and Miami. Additionally, Clemson’s Tigercast will broadcast the remainder of the home matches live and for free on ClemsonTigers.com.The first of the announced broadcasts will be on Sept. 26, as Clemson heads to North Carolina as part of a Wednesday Night Volleyball package that will appear on ESPNU, a channel available in more than 73 million households, according to ESPN.com. 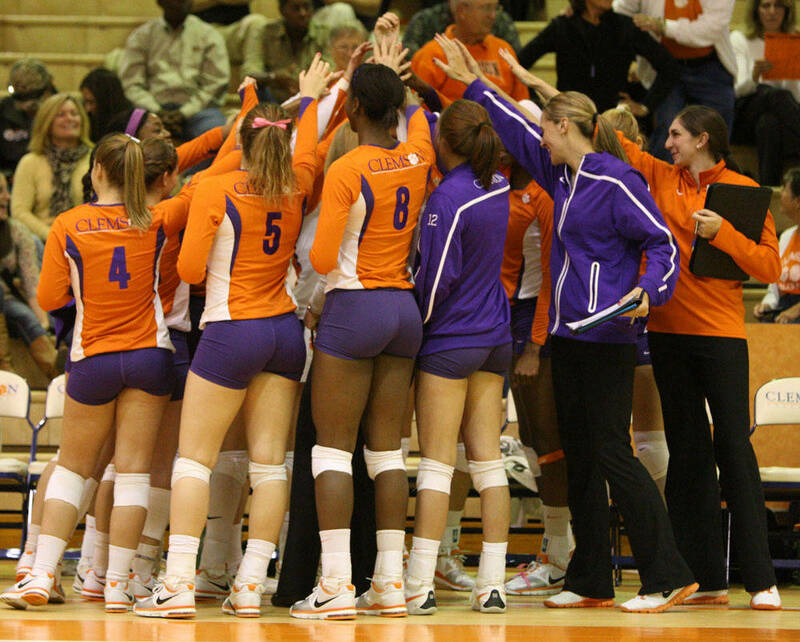 Clemson will then host Virginia on Oct. 5 in Jervey Gym in a match on RSN. RSN affiliates include FOX Sports Carolinas, SportSouth, FOX Sports Florida, Sun Sports, Comcast SportsNet Mid-Atlantic, and NESN, and is available in more than 32 million households. All ACC games produced as part of the RSN package will also be available on ESPN3 and the WatchESPN app in locations beyond the RSN territory.Clemson’s home matches with Miami on Oct. 19 and Florida State on Oct. 21 will appear on ESPN3, which is available in more than 70 million households, and on phones, tablets, and Xbox consoles.